This time has come with LED Grow Lights: a revolutionary way to light plants which offers you amazing yields with a small electricity bill. Discover the Agrotek Series, the most advanced LED Grow Lights that give you a powerful light with no heat dissipation and a reduced electricity consumption. Why is it better to grow with LED lights? How to set-up your Agropad? Setting up your Agropad is incredibly easy. If you have ever used HPS/MH lamps, you will be amazed by how quick installation is. Since everything is already included in the panel, simply hang the LED, plug the power cord... and you are good to go! Thanks to its hanging kit, your Agropad can be installed in all kinds of growing areas. It only takes a few second to pull up the light when your plants grow taller. Please note that, if you are used to growing with HPS or MH lamps, it is advised to limit water and fertilizer intake compared to your growing habits. 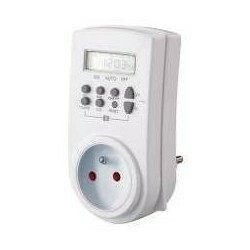 Use a digital timer to ensure that your plants get the same amount of light every day. During vegetative stage, most plants thrive under a 16-hour-per-day light. During flowering stage, the light period can be reduced to 12 hours per day. In 2016, Agrotek brought to market the first full-spectrum, phosphor-coated LED grow light. This COB was the first to ensure a uniform spectrum on the whole lit area: a small revolution in LED lighting! 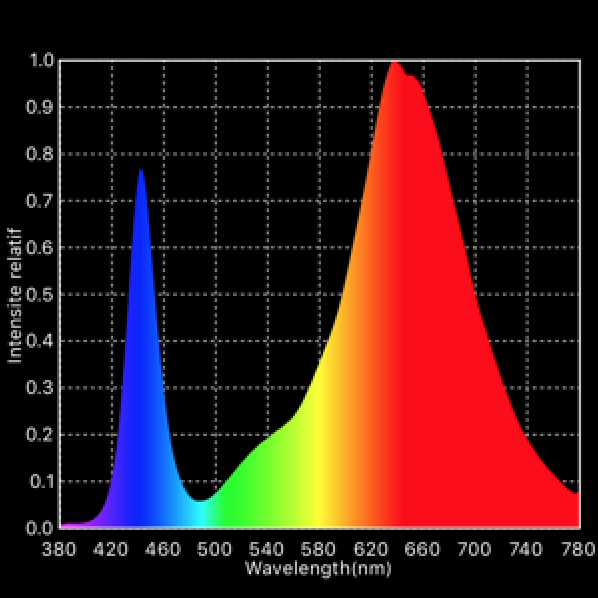 In addition to the constant spectrum, the phosphor coating also improved the LED's lifespan. In 2017, Agrotek is pleased to introduce Agropad and The Spot and their improved COB. While keeping the exclusive Agrotek spectrum, the new LED has a higher efficiency (more light for the same power consumption). Your plants can take advantage of a brighter light while you keep saving on your electricity bill. Agrotek panels are built around the custom Agrotek spectrum. It is designed to bring a complete light for all plant stages (seedling, growth and blooming). The optimized red/blue ratio focuses power in the most efficient bandwidths of chlorophyl absorption. 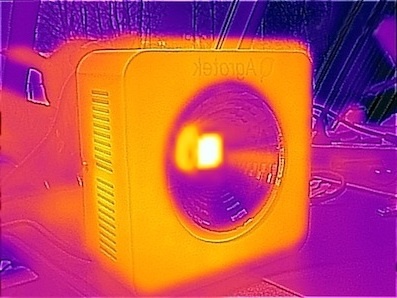 The red/near infrared mix improves photosynthesis (Emerson effect). 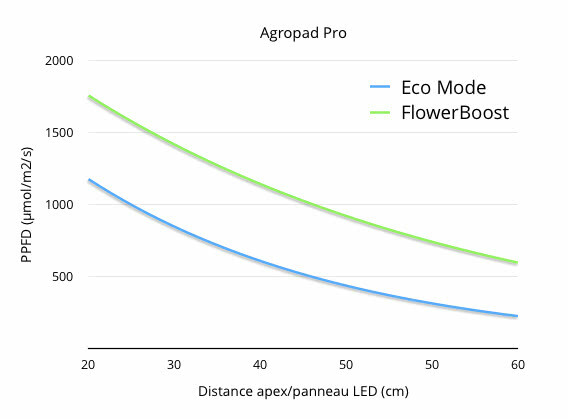 The FlowerBoost mode (extra LEDs for flowering stage) shortens flowering time and improves total yield. Agrotek COBs are the coolest high-power LEDs available. They make it possible to equip indoor gardens and greenhouses safely. The heating of a COB is barely noticeable. 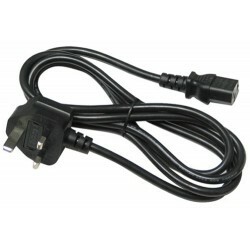 Compare this to a High Pressure Sodium lamp that can heat up to 270 °C ! Bringing you the best COBs was not enough. 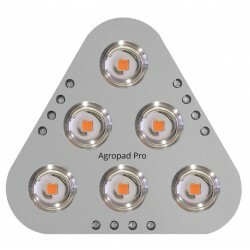 In order to offer you reliable and good-looking panels, Agropad and Le Spot are now built around exclusive solid aluminum reflectors that stand the test of time. Simply hang the lamp with the provided suspension kit and plug it. 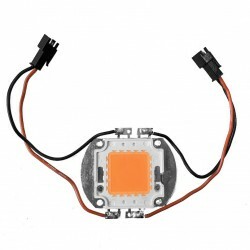 There's no need for external ballasts or reflectors! If your indoor garden is larger than 100cm*100cm, add up to 3 Le Spot panels to each Agropad. Together, these panels will perfectly cover up to 2 square meters. Thanks to the supplied mounting kit, you can pull your panel to the perfect height with ease. Please refer to the chart below if you wish to adapt the distance according to a desired light flux (in µmol/m2/s). Warning: This LED Grow Light is extremely powerful. Do not look at the light when it is turned on. 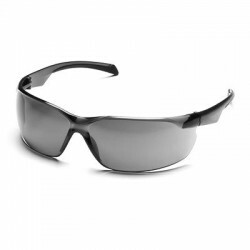 We would love to hear from you if you have any questions about this product. Please use the Contact Us page and leave us a message. 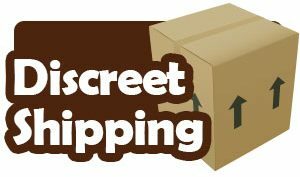 Order now to take advantage of the free EU/UK shipping offer! This item ships within 24 hours.